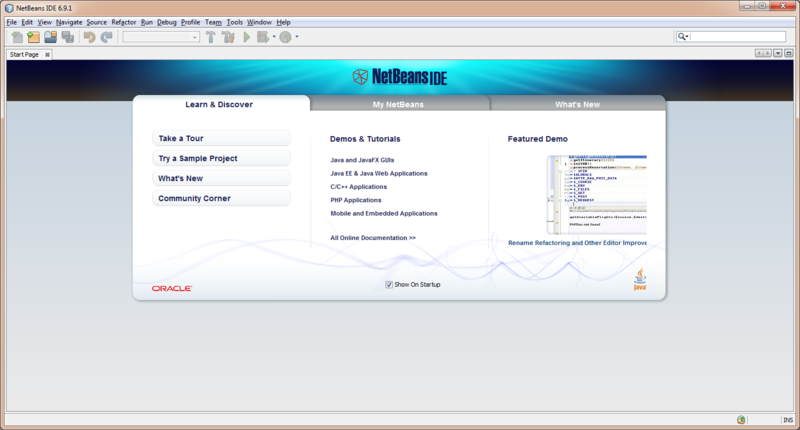 NetBeans is another popular integrated development environment (IDE) for Java, C/C++, PHP, Python, Ruby and many others. NetBeans is written in Java, just like Eclipse is. For that, it can also run on different operative systems. It also supports plug-ins to extend its functionality and support different programming languages. NetBeans was bought and made open source by Sun Microsystems, so it’s not surprising that NetBeans is available for download bundled with the JDK in Oracle’s download page. 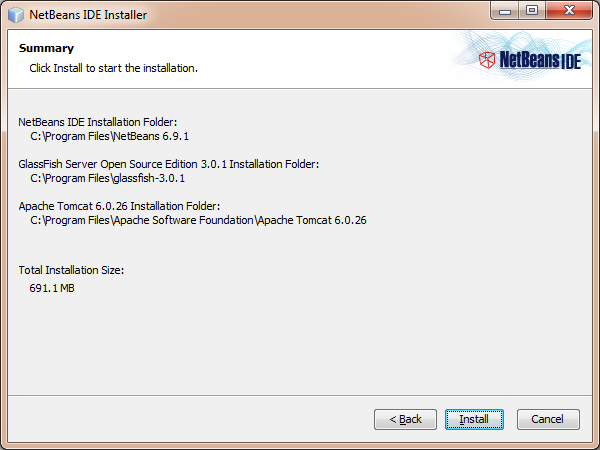 If you didn’t install NetBeans when you installed the JDK, you can download it from NetBeans’ download page. It’s a good idea to download the Java bundle. It includes the GlassFish and Apache Tomcat servers, which we’ll need when we develop web applications. In the first screen, you’ll get a list of the components that will be installed. 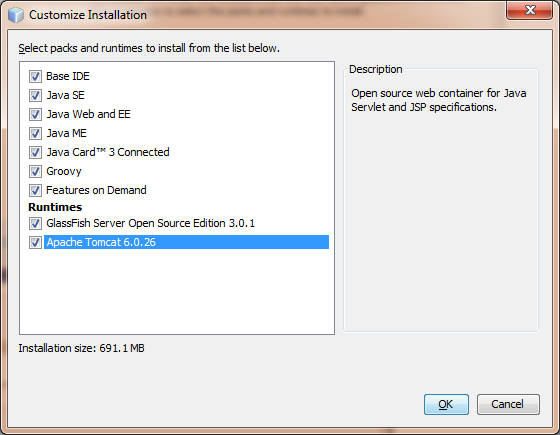 You also have the option to customize the installation or continue. Click on the Customize button. Here you can choose which components you want to install. In my case, I also chose the Apache Tomcat server since it’s not selected by default. Click OK to close this window, and then click Next to continue with the installation. 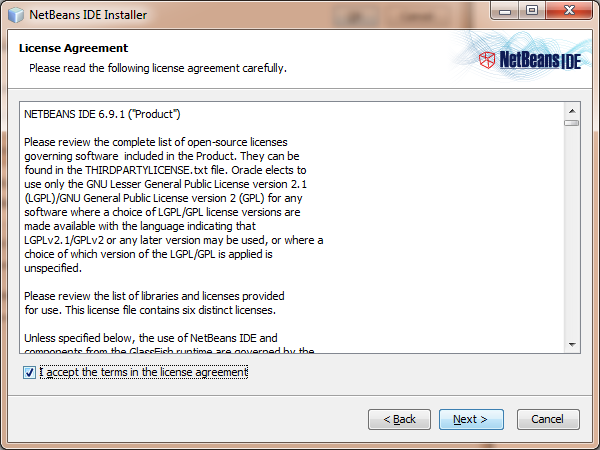 In the next screen, you’ll need to accept the terms in the license before you can continue. Check the checkbox at the bottom and click Next. 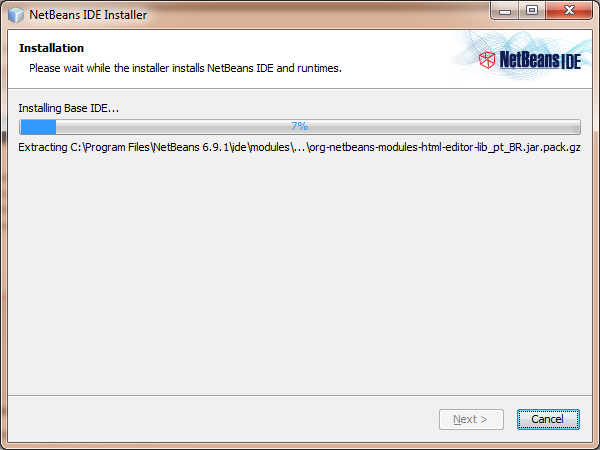 In the next step, you’ll have the option to change the installation folder for NetBeans. I just left the default value. 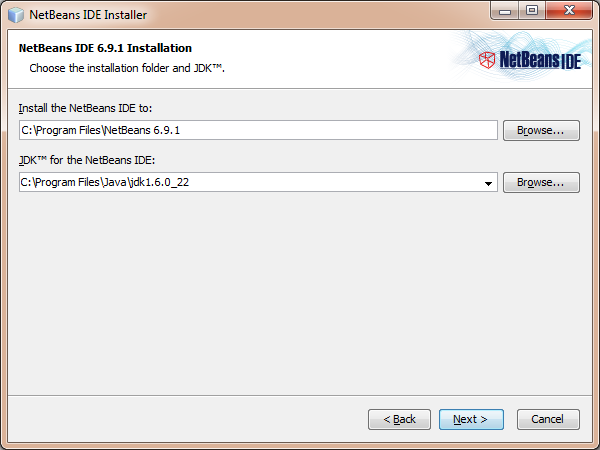 You also get the option to choose the JDK you want to use with NetBeans in case you have more than one installed. If the drop-down is empty, the installer was not able to detect a JDK. In that case, click on Browse to locate the JDK. 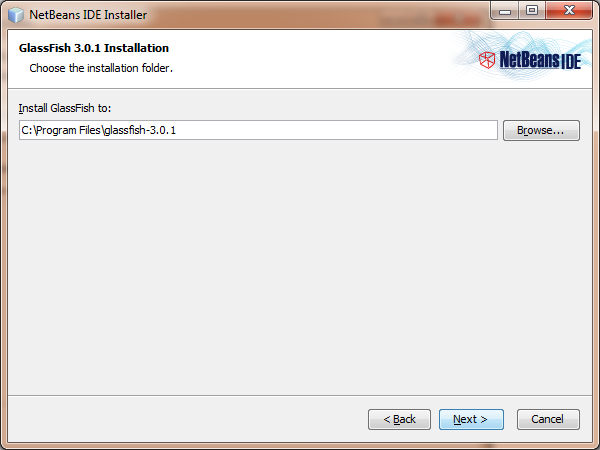 If you chose to install GlassFish Server, the next screen will let you change the installation folder for it. I just used the default value. Click Next. 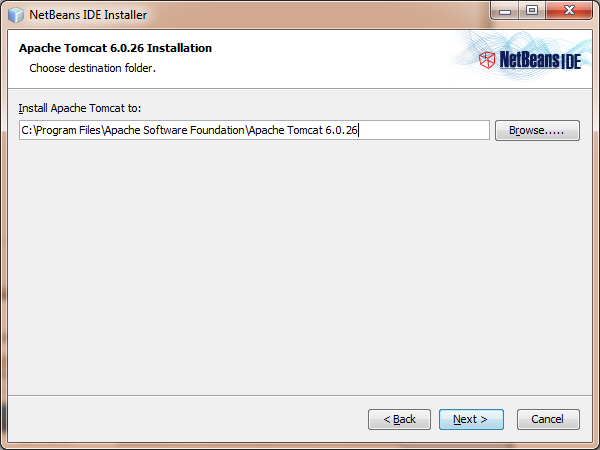 You will get a similar option if you chose to install Apache Tomcat. I’ll use the default path as well. Click Next. In the last screen, you’ll see a summary of the installation. 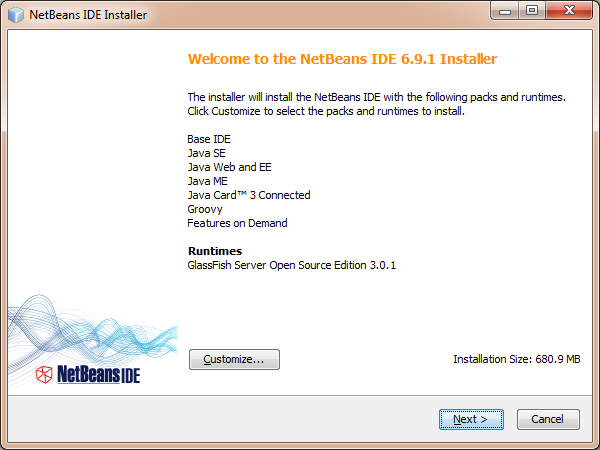 We’re ready to begin the installation of NetBeans. Click on Install. The installation will begin. 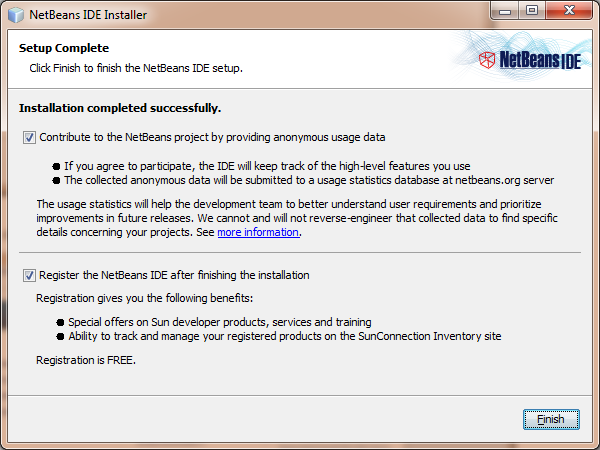 When the installation is done, You’ll have the option to contribute to the NetBeans project by sending anonymous data of how you use the application. You’ll also have the option to register with NetBeans. Click Finish. If you chose to register with NetBeans, you’ll be taken to a website to create an account with them. This is optional. The installer should’ve created a shortcut to NetBeans in the desktop. Double-click on the shortcut or go to the Start menu to open NetBeans. You’ll see the Start Page. We are now ready to develop Java applications using NetBeans. Please leave a comment if you ran into any issue.